Cairns and Tropical North Queensland are the gateway to the Great Barrier Reef and the Wet Tropics of Queensland, the world's oldest surviving rainforests. From Mission Beach in the South, to Cape York and the Daintree, in the North, this is a region of spectacular scenery with rivers, gorges, waterfalls, and mountains to explore. And of course The Great Barrier Reef. Experience Nature at its best. 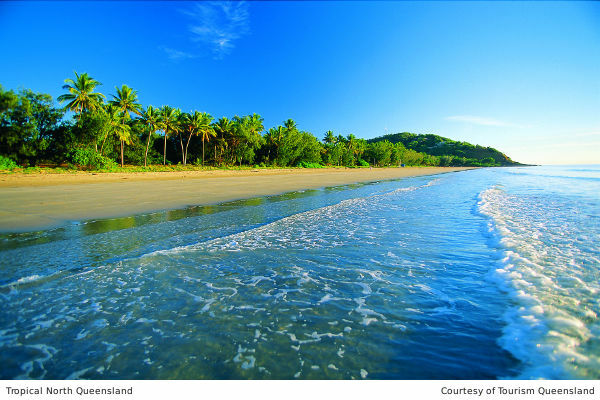 Visit Cairns and Tropical North Queensland. Take a dip in the Lagoon on the Esplanade. A man-made sea water Lagoon with a sandy beach and childrens play area. The Lagoon is surrounded by parkland, with plenty of space for a picnic or barbeque.